Its been a year since we started testing Ziva and still the learning is going on. 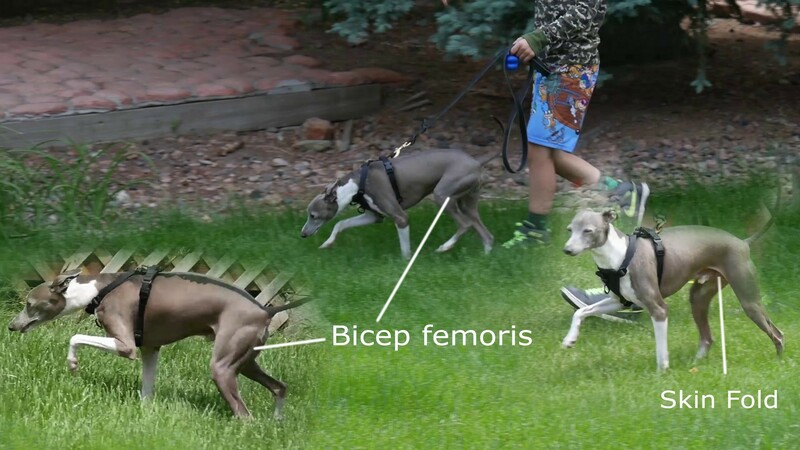 Would like to Thank the Ziva Community for Guiding us through out all phases of Muscle workflow. Below is our thread when we started with Leopard R&D. 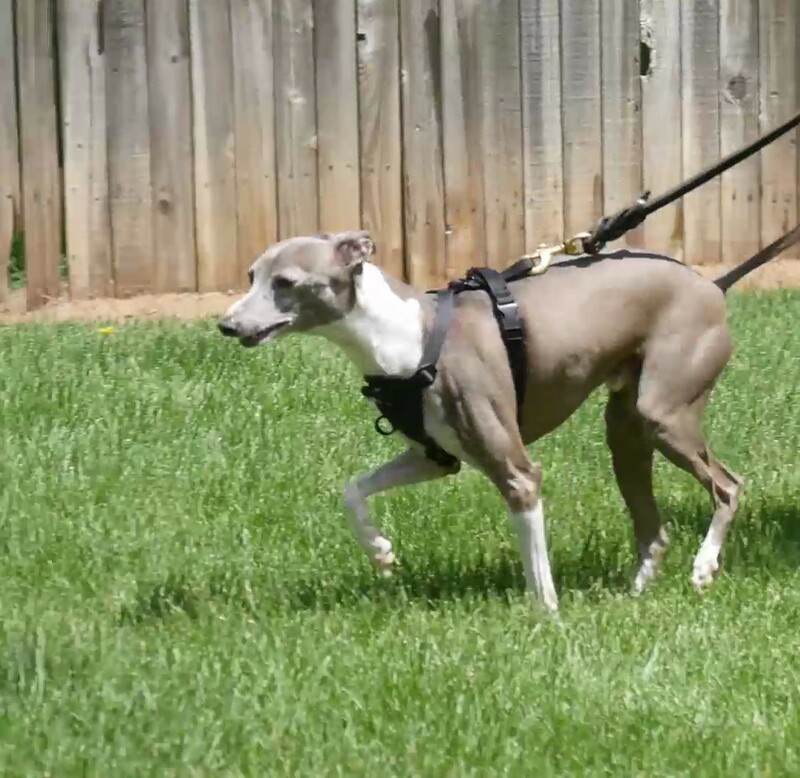 Now we are building Italian Greyhound. Lots of things have changed and got updated in Ziva front. 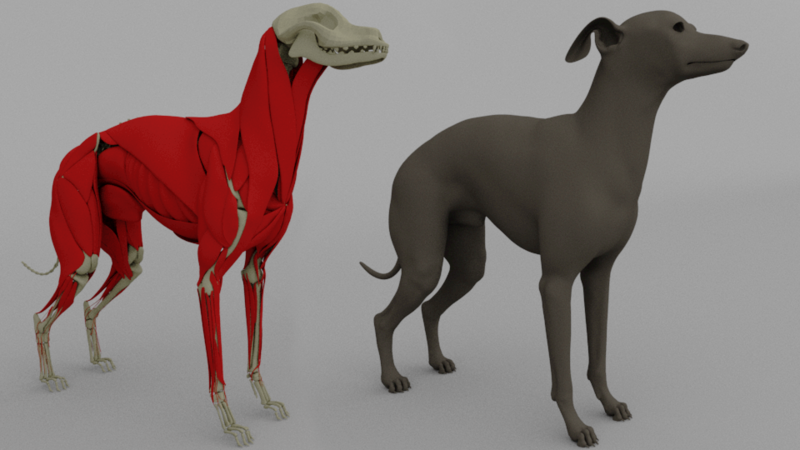 Below is the WIP version of Modeling the Skeleton,Muscle and Render Skin..
Ziva 1.4 60 Days Trial. Are those the Zeke muscles warped?? Nope its not Zeke muscles.I assume you are referring to the Lion character. Yep I was. Okay no worries, just wondered. You'll probably want to fill that large hole under the jaw as those muscles will jiggle unnaturally without support from a tissue volume underneath. You'll also want some kind of volume between the rib cage and the pelvis. Was thinking that the skin mesh looks quite flat, like you don't see much muscle definition. Is that by design? 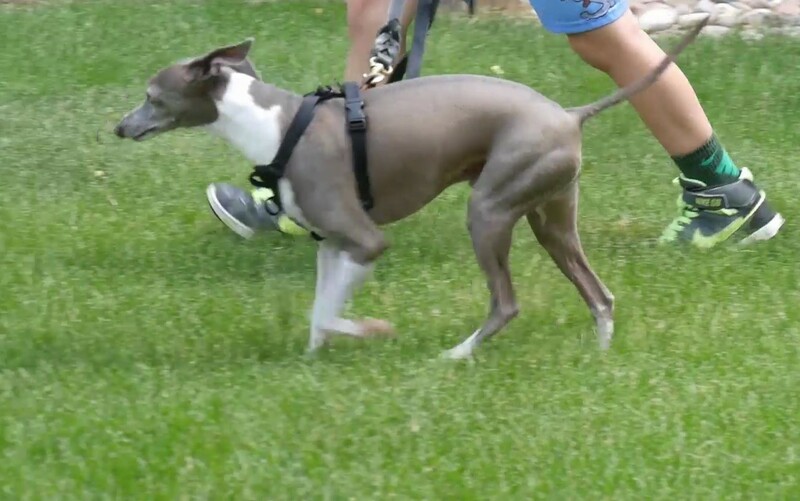 I think of grey hounds as being quite ripped 🙂 You might miss out on some nice muscle performance from the muscle simulation pass? 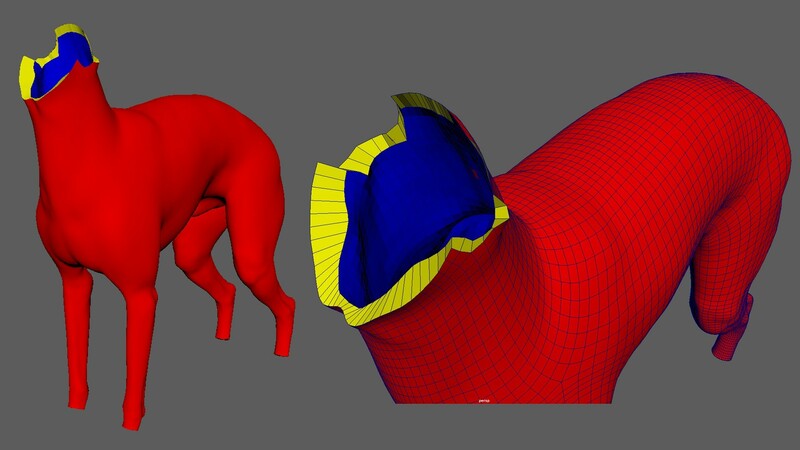 Yes will work on the Hollow area which needs to be filled up for muscle collision. Regarding Skin mesh,its still WIP stage working on secondary details ,will be able to update soon with that version. 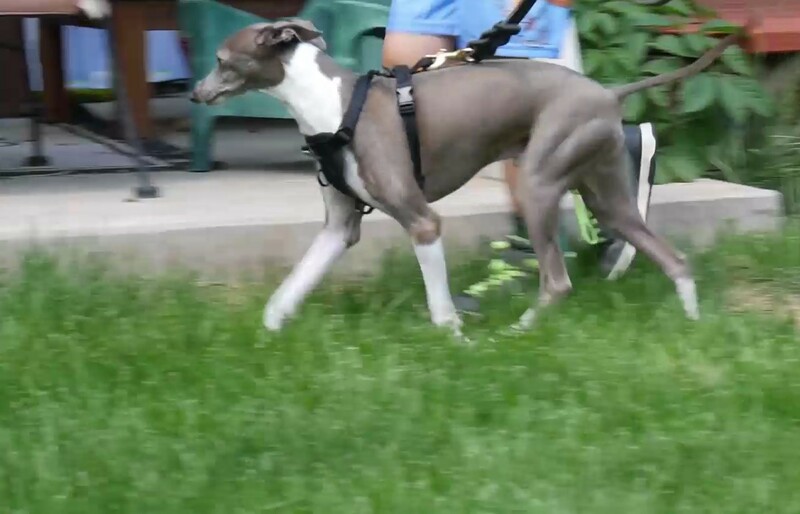 Yes Italian Greyhound is kind of Skinny ,but leg part got some muscles fired up Hoping to get details in that area. Nice, looking forward to the next update! Completed the Modeling Task of Muscle Building..
Moving onto Fascia Building and Muscle SIM.. Very cool. Looks like still missing something to represent esophagus? Yes you are right the marked area ( esophagus ) needs to be filled up. Planning to fill up that area based on the First Pass Fascia Behavior.If Fascia helps in filling up the gap will leave it as such.Else will be building a filler Muscles to compensate the Gap. Hey, you're welcome. Cool, have you seen some of the more recent tutorials we've put out as regards fascia/fat/skin? With Ziva 1.4 there's a good case for not running a separate fascia now as the functionality can be done directly with the fat. Yes watched that tuts . First Pass Animation to Test out the Muscle SIM.Will update on Fascia with Fat Model soon. Plz let us know your feedback / suggestion. How to handle the twists in the muscles, which has different angles at the point of origin and insertion. Image attached - Please let us know what is the right way to handle above scenario. When you say you're going to add the skin fold, do you mean you're going to add this in the muscle pass? I'm not sure I'd recommend that. In fact I had that on the lion but opted to take it out and do this in the fat level. I can't find any evidence of a muscle in that area in the literature, but happy to be corrected on that. When you say "How to handle the twists in the muscles, which has different angles at the point of origin and insertion" what limitation are you seeing with your current workflow? If you take the latissimus for example (human), the muscle also twists right before it attaches to the humerus. You shouldn't need to do anything special in this case as far as I know, so long as the model is correct. Also can you clarify what you mean by the sartorius changing it's angle during simulation? Yes Noted will add the Skin fold in fat pass. 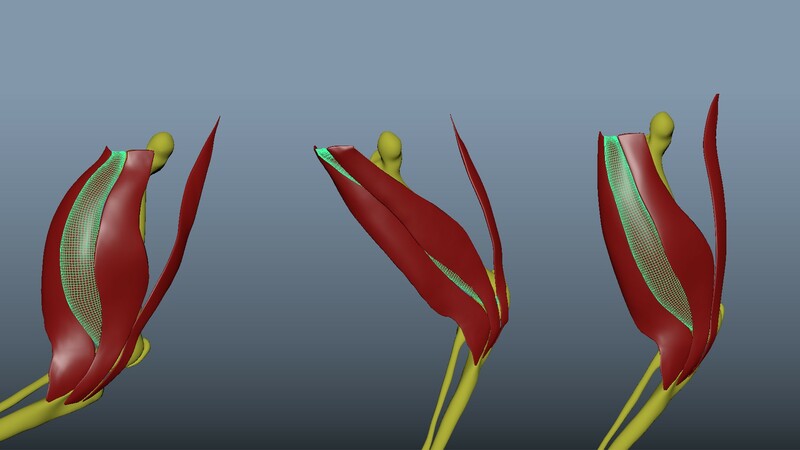 Yes regarding the muscle twist you are right we are changing the Muscle model a bit to get the SIM right. 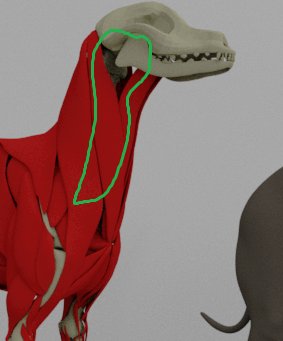 Need the above three muscle to react well without losing its shape during SIM.But as you see in snap 2 the middle highlighted muscle gets pushed back.Any tips to retain the arrangements / shape. prakash If I understand your request, you could add the 3 above muscles as "subtissues" in a larger single tissue that represents the entire muscle group. Adding them as subtissues will allow you to give them each their own fiber field(s) and materials, while the shared tet mesh will help them to deform as a single unit. Let me know if I misunderstood. 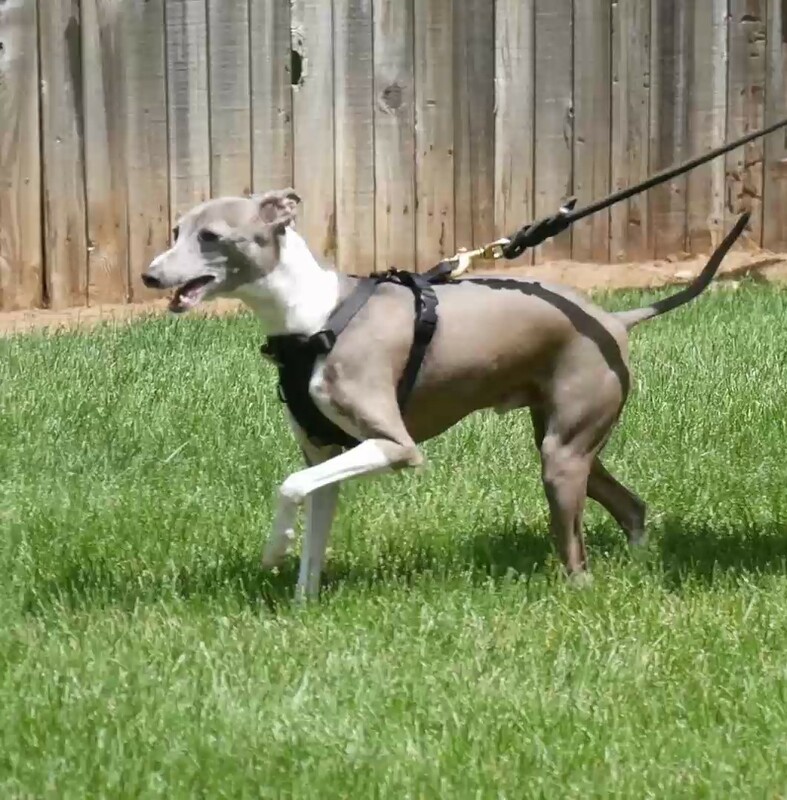 Followed your steps and its working like charm. Feedback and suggestion would be helpful. Would you be able to put a checker pattern or something similar on the fat pass to make it easier to evaluate the amount of visible sliding?